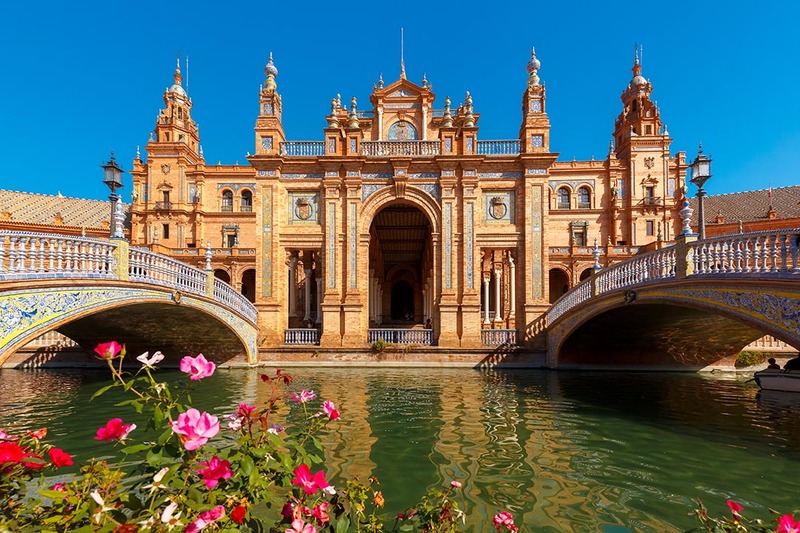 Seville is one of those places that steals your heart. From the moment you land, to the moment you leave, you’ll feel like you’ve been transported to another world full of emotive dance, gothic cathedrals and winding streets. 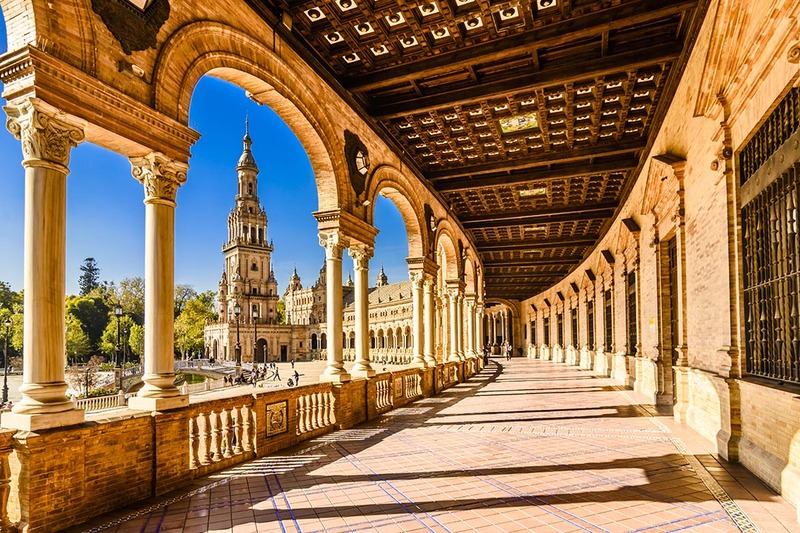 Our 4-night trip will explore the world famous flamenco, discover royal buildings that impose on this city, and we’ll find out how Seville is taking on the modern world without losing its sense of history. Today we’ll depart for Seville. After landing in the evening, we’ll check into Hotel Becquar, freshen up from the journey, and enjoy our first evening in this delightful city. Our time in Seville begins with a walking tour of the city. We’ll discover the Church of the Divine Salvador, explore the historic Santa Cruz neighbourhood, enjoy the shade under the orange trees at Patio de Banderas, visit the tobacco factory that was the inspiration for the opera ‘Carmen’ and much, much more. It’s a 3-hour route so wear your comfy shoes! After the walking tour, the rest of the afternoon is yours to spend at leisure. 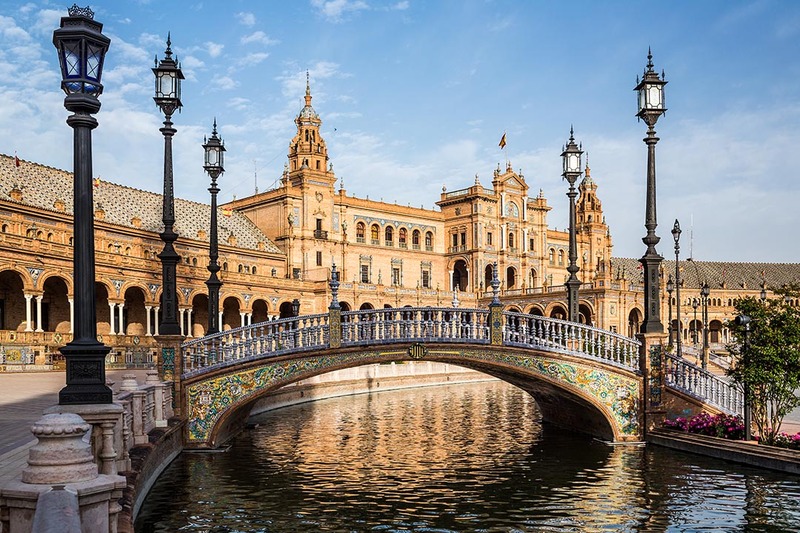 Why not venture back to the Plaza de Espana or you may even want to hop across the river to an area called Triana. 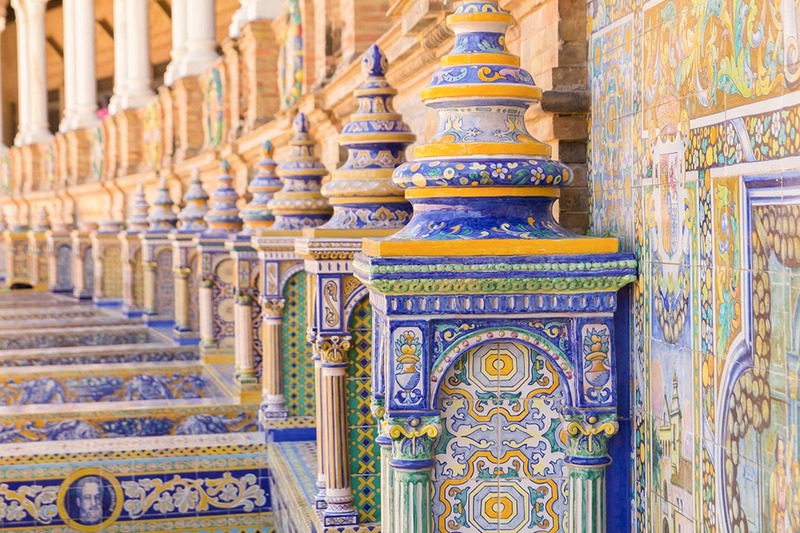 It’s Triana that’s credited with creating painted ceramics and flamenco, both of which you’ll find are very well associated with Seville too. Breakfast included. Overnight in Seville. 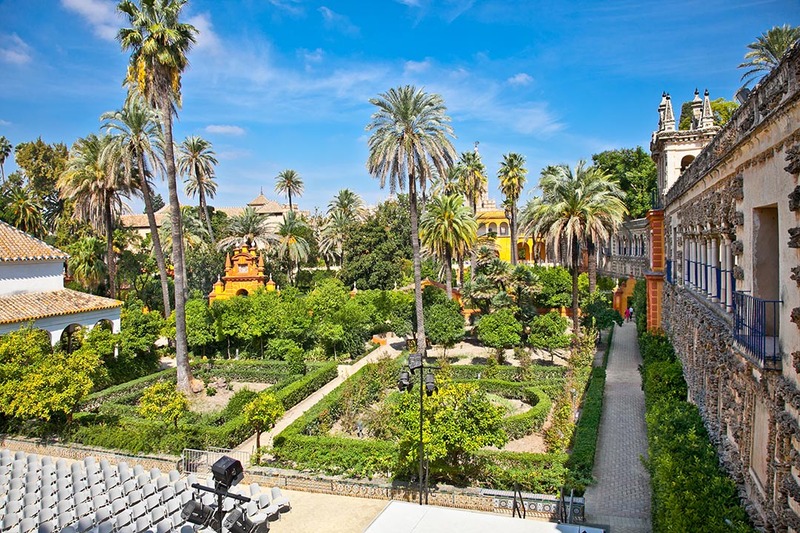 This morning, we’ll enjoy a leisurely start to the day before visiting the Real Alcazar, the Royal Palace of Seville. Here we’ll enjoy a guided tour that will take us around the historic building and gardens while explaining the historic importance of this building. 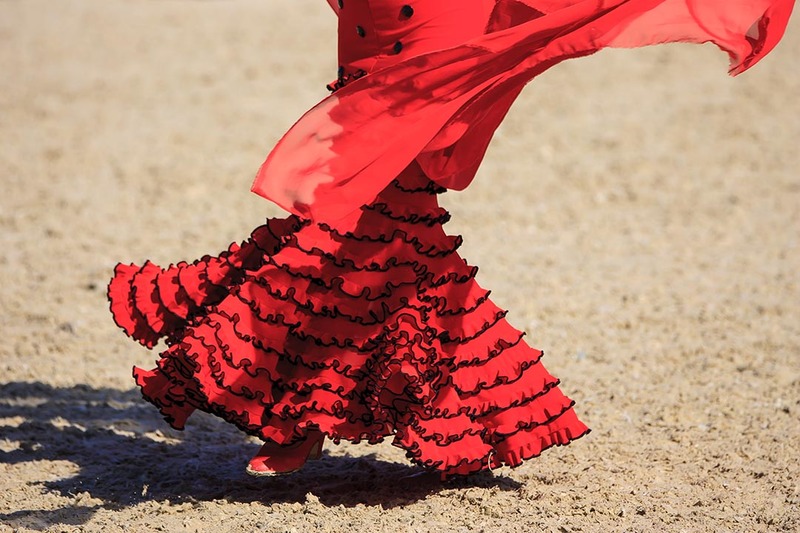 We’ll then wander to La Casa del Flamenco for a show that’s sure to set your soul on fire. Seated in the courtyard of a palatial 15th century residence, we’ll nestle into this nook of the Santa Cruz neighbourhood to experience an hour long show that includes floor-shaking flamenco, elegant guitar, and toe-tapping music that creates an evening to remember. After this there’ll be time to go for dinner and enjoy a Saturday night in Seville! Today we take a short tour around the Metropol Parasol. This modern structure towers over the Plaza de la Encarnacion and is the largest wooden structure in the world. 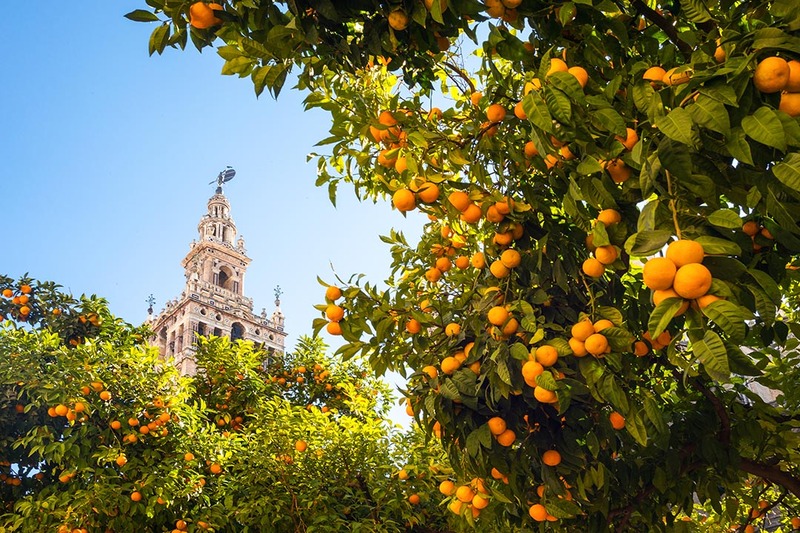 The 30-metre high look out point gives incredible views over Seville and underneath, there’s a traditional grocery market and a museum of archaeological ruins. An official tour will take us from the Mirador to the market and then to the Antiquarium where we’ll learn about Roman urban organisation. Our tour ends with a traditional glass of Andalusian sweet wine. The rest of the day is at leisure. 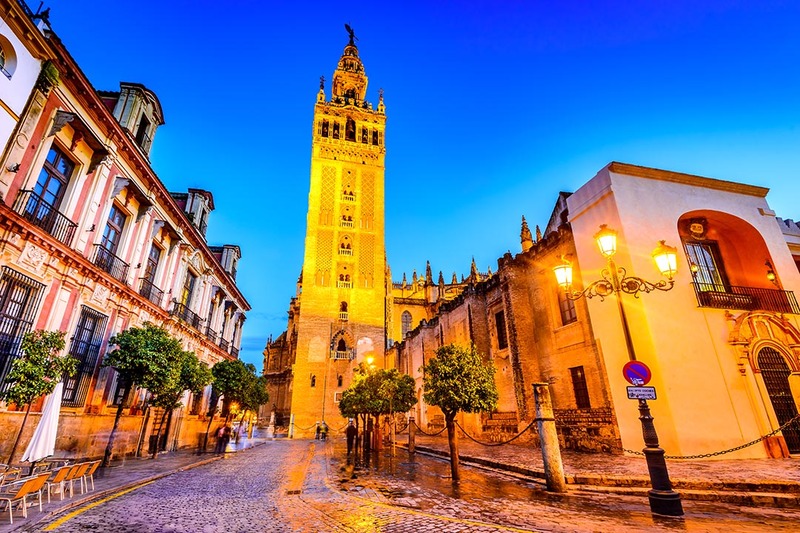 There are plenty of museums and art galleries in Seville so if you want to find out more about Seville’s culture, dive into these. Alternatively, you may want to take a visit to one of Andalucia’s many towns – Cordoba is less than 45 minutes away by train. Stay in Seville though and you can sample all the tapas that’s on offer – what a good way to spend a Sunday. 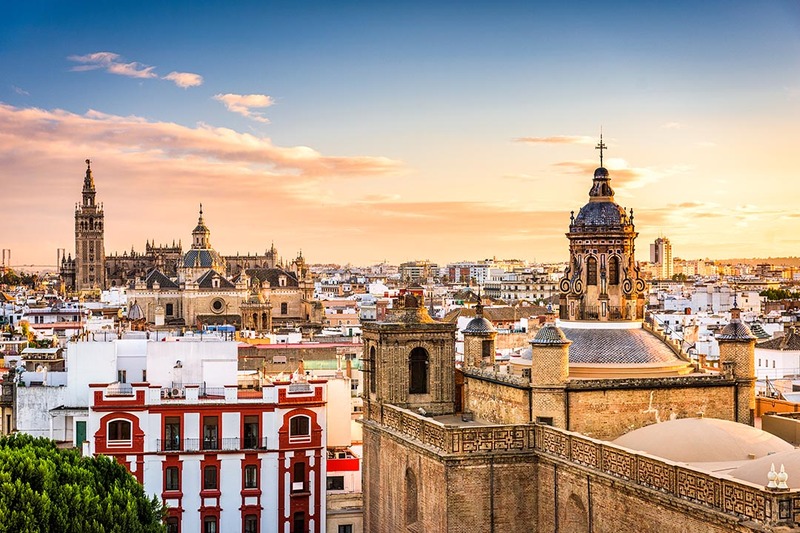 As our flight departs later this evening, you have another day at leisure to soak up Seville. Check out is in the morning and we can collect our luggage before departing for the airport around 6pm.